I usually have soup for lunch. I’m a graduate student and this is cheap for me considering my budget. I make a batch on Sunday and have a bowl each day for 5 days. My favorite is lentil soup. Lentils have less sulfur compounds than most beans and that means I’m not offending my co-workers with my bowels, if you get what I mean. Whole lentils are also high protein, high fiber and have twice the iron, ounce for ounce compared to beef Get a medium large sauce pan combine and assemble these ingredients. Put a half tablespoon or so of olive oil to a big pot and a few pinches of cumin seeds (sometimes I add fenugreek seeds that crush lightly with the bottom of a glass or pan). Heat the oil until the seeds begin to sputter. 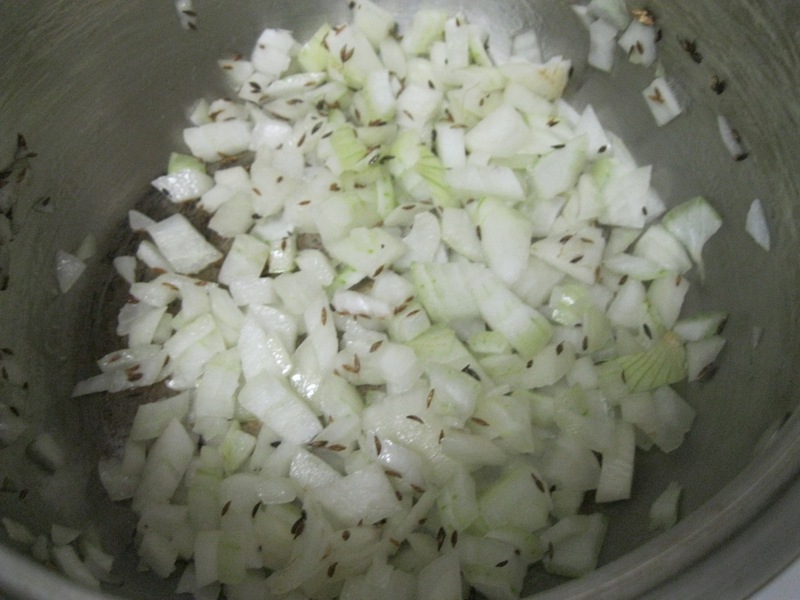 Add onion, garlic and saute until the onions begin to caramelize. Add the lentils and stir for 1-2 minutes until everything is mixed and coated with the oil. 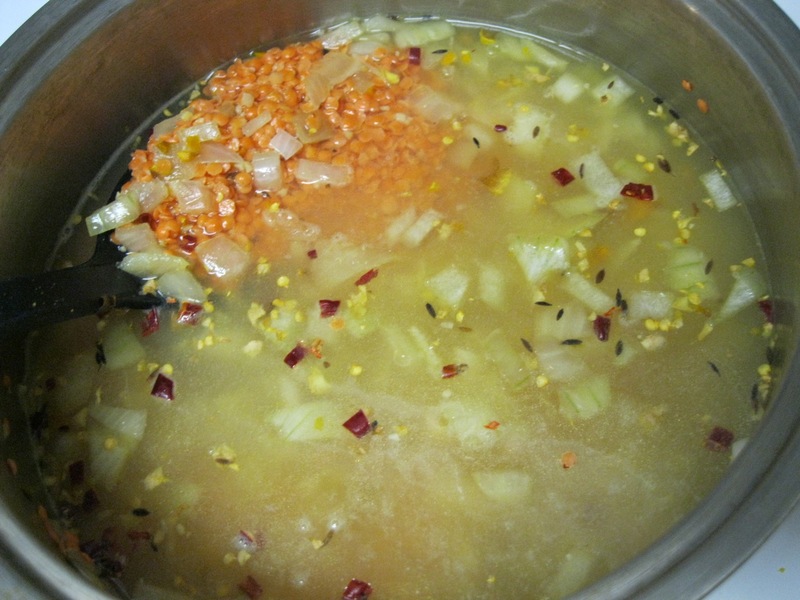 Add the pepper, bouillon and about 1L of water. 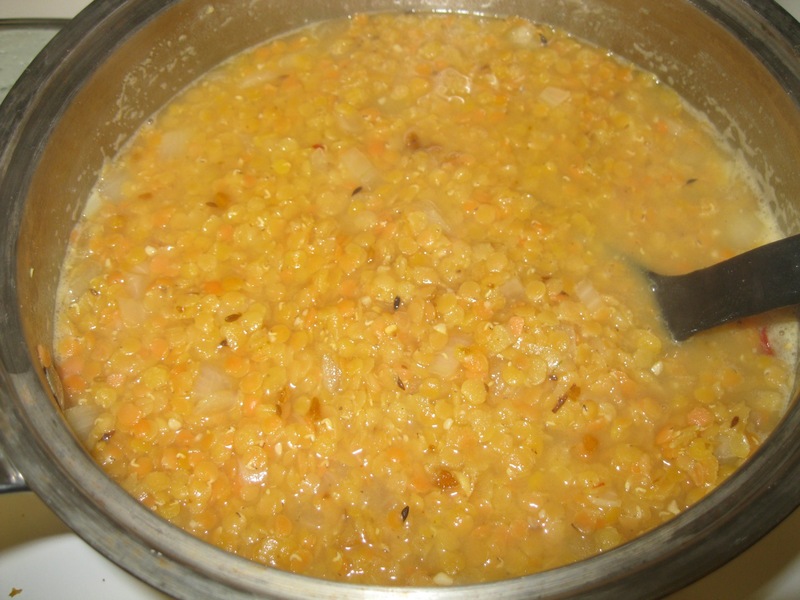 Bring to a boil and then let simmer for an hour or until the lentils begin to break down. Add up to another 500mL of water or until you like the consistency. Add 1-2 tablespoons of lemon juice and salt to taste. For folks that like to bring their lunch to work, this is a hearty, creamy soup to bring with you. Also, deceptively simple to make.